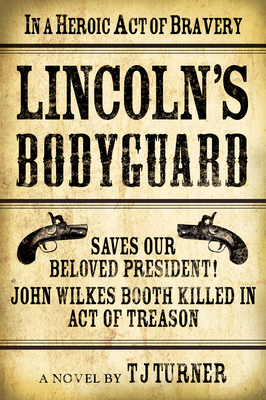 In Lincoln's Bodyguard, an alternative version of American history, President Lincoln is saved from assassination. Though he prophesied his own death the only way he believed the South would truly surrender Lincoln never accounted for the heroics of his bodyguard, Joseph Foster. A biracial mix of white and Miami Indian, Joseph makes an enemy of the South by killing John Wilkes Booth and preventing the death of the president. His wife is murdered and his daughter kidnapped, sending Joseph on a revenge-fueled rampage to recover his daughter. When his search fails, he disappears as the nation falls into a simmering insurgency instead of an end to the War. Years later, Joseph is still running from his past when he receives a letter from Lincoln pleading for help. The President has a secret mission. Pursued from the outset, Joseph turns to the only person who might help, the woman he abandoned years earlier. If he can win Molly over, he might just fulfill the President's urgent request, find his daughter, and maybe even hasten the end of the War.